186.5 lakh tonnes of sugar has been produced till 29th February 2012 as compared to 162.5 lakh tonnes in the corresponding period of sugar season 2010-11. The sugar production till 29th February 2012 is about 15 percent more than the same period last year. 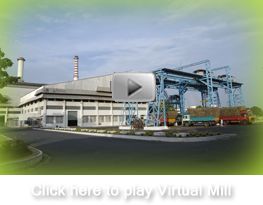 As against 480 mills which were operational in 2010-11, 520 mills are operational as on 29th February 2012. Maharashtra has produced 64.94 lakh tonnes of sugar till 29th February 2012, 14 percent higher than last year. Uttar Pradesh has produced 52.73 lakh tonnes of sugar which is about 13% higher than last year. The southern states of Karnataka & Tamil Nadu have also reported higher production of 28.75 & 8.20 lakh tonnes respectively. Andhra Pradesh has reported 20% more production than last year. The state has produced about 8.71 lakh tonnes of sugar so far.